Our drop-in project Home Base has been running for almost 4 months now! Being set up at the Redfern Community Centre affords us a great facility and location for anyone to drop by and make music with us. We started off with 3 attendees and now have a regular attendance of 10 or more. The young peoples’ ages range from 14 to 20 years old and they are from all parts of Sydney. Kobie and Jack are the youngest artists that attend and have a love for 90’s hip hop. 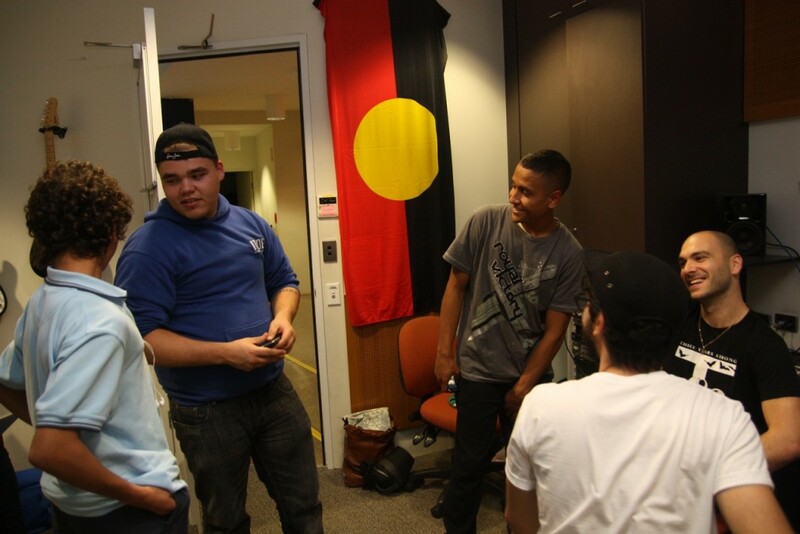 They have been working hard with our facilitator Kristy Lee on some original hip hop tracks for Triple J’s unearthed high competition and the Mad Pride event coming up soon. The guys hava amazing flow for their age and turn up every week, without fail, ready to go. Adrian as always has been an amazing inspiration all attendees at the Home Base session. In the studio he has been writing new raps every week and putting together a good collection of original songs. 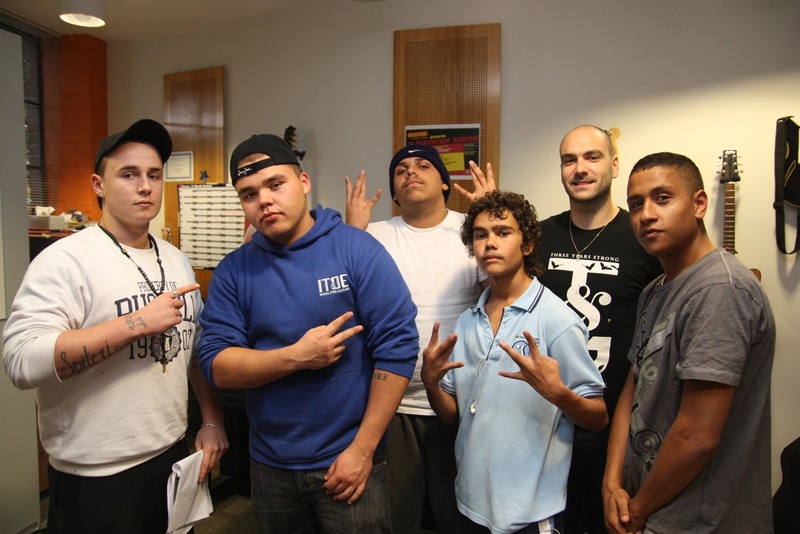 Also bringing new friends to the Home Base sessions and helping them use music to express themselves. 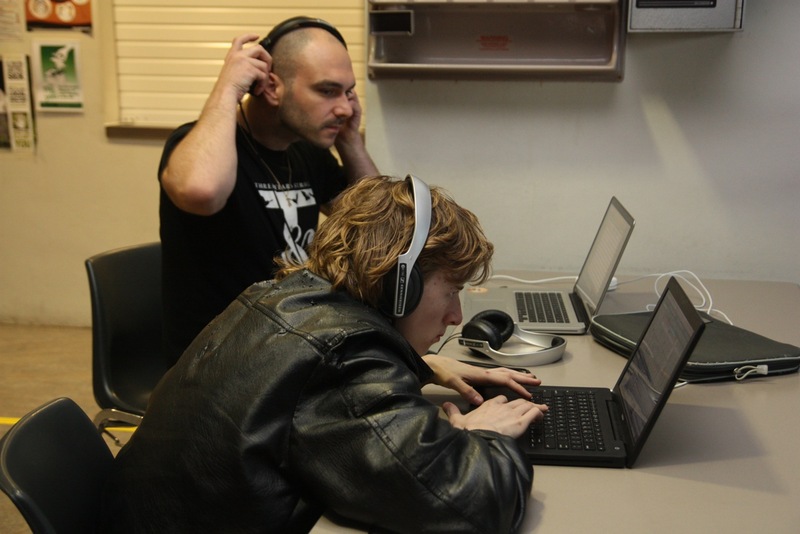 Tom and our facilitator Jeremy have been cranking out a lot of awesome dubstep production. Recently, Big H aka Henry put down a verse on one of Tom’s dubstep beats which was amazing. It was great to see the boys collaborate and both be a part of different styles of music they normally wouldn’t have been. Henry, aka Big H and Sai have be working on a couple of collaborations together. Sudeki has also been singing some amazing hooks for the guys on their tracks. This guy has an amazing voice and the boys are almost lining up to get him to do a chorus on one of their tracks. Big H is also starting to plan a new EP and we have got two songs down for this already which we have made in the Home Base sessions! I could not be happier with how the sessions are going. The turn out has really been amazing, sometimes overwhelming, and always inspiring. I’m looking forward to the coming sessions and making some good music!